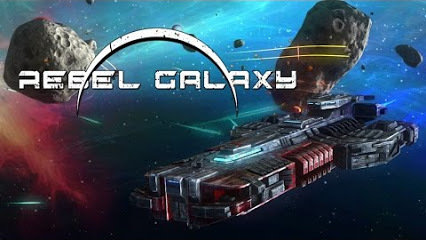 Do you Play Rebel Galaxy? Join GameHunters.Club our members share free bonus, tips, guides & valid cheats or tricks if found working. GameHunters.Club is a Fan Site and is not endorsed by or affiliated with Rebel Galaxy. All Trademarks are the property of respective owners. 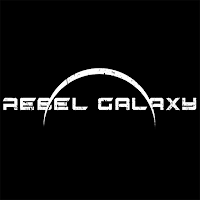 If you love this game, support it by purchasing premium items in the game or follow the official Rebel Galaxy social media channels. 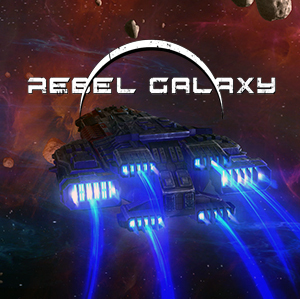 Join the Forum, Discuss anything about Rebel Galaxy. You can talk about tips, tricks, cheats, ask for help or simply introduce yourself to the club. These are the most recent topics and posts on Rebel Galaxy Forum. Do you know any of this topics? 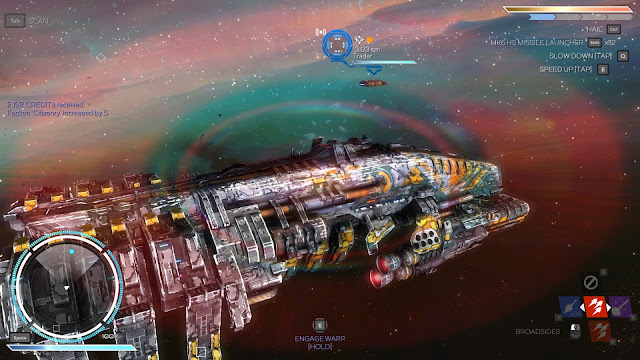 Help players by posting about this topics on Rebel Galaxy Game Post section. Well hello there everyone! I know we’ve kept pretty mum. We are announcing our next project in 2 days at PAX West in Seattle. Come visit us at booth #7603 and play what we’ve been working on and get some sweet swag (different stuff each day) We are super proud of what we have put together and we have not one or two but FOUR trailers we will be releasing over the next week, including a continuous hour of narrated gameplay footage. See ya out there! https://gfycat.com/FinishedFlimsyAmericanindianhorse Click the link for big nice version. So what's been happenin' since our Press&Streamers build? 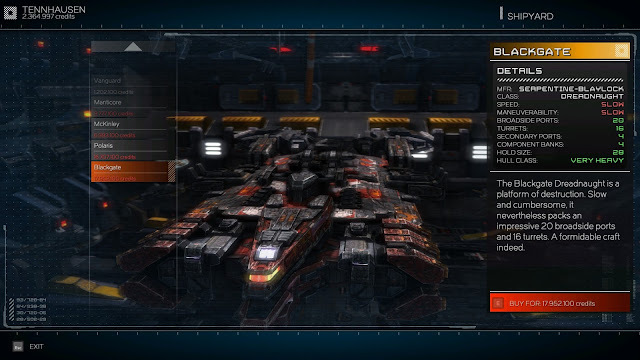 *Several new weapon and gear types *Revised Galaxy Map with per-system information *All remaining artwork and animation integrated into the game *Continued work on the encounters and missions for the remainder of the game areas At this point we are spending all of our time on missions/events/ship loadout variants/and balance. Onward to completion! Cheers! #RebelGalaxy Sunday Patch Notes! *Y-Flip works properly in precision turret mode. *Y-Flip works properly, period, in mouse mode *Loose cargo inhibits sublight - easier to tractor up when on its own *Dead John and some other frigates have less ridiculous escape boost. Easier to catch! *Mining lasers are now much more effective short-range weapons, faster/briefer firing, and more expensive. Dual utility! Mk2 Mining laser is also back as a result. *Right thumb-stick can be used to navigate command menu *A few mild mouse control tweaks. *Mouse sensitivity options are less extreme *Rescue-able merchants are now stronger vs fighter damage, to make them more rescue-able. *Garris now costs 1500 credits minimum to hire him, so new players won't accidentally use all their credits first thing. #RebelGalaxy Saturday Night Patch Notes! Restart Steam and grab it, especially if you use a mouse! *Much improved mouse control! Turret mode specifically is much more precise, both in motion, and with better 'locking' behavior, but broadsides are more responsive as well. It is also possible to view your ship from varying pitch in the same way you can with a gamepad, without having it immediately snap back to axis. *Several mouse-mode bug fixes *You can see the Risk rating for a mission on its waypoint, colorcoded. *Death screen tips. Patch notes for Steam Press build - *Music and sound settings are alterable ingame in the system menu *UI 'chirp' and 'beep' sounds are less piercing and annoying *If you play in MKB mode and hold CTRL to open the command menu (as opposed to pressing), it won't re-open after you select an option *Sublight and Warp engagement ranges have been tightened up to make it easier to get to sublight and warp near other objects. Hostiles have the same inhibition range as before. *Don't show proximity warnings around stations. You autodock if you hit touch them anyway! *Remove mining laser 2, which wasn't supposed to be there, and would crash if you bought it! *Fixed a spelling error or two. *Inflight mission log buttons have the correct rollover state. *Minor fiddly bits. The last week has been pretty exciting: We reached base feature completion, and also got our last piece of spec'ed artwork. Does that mean we're done? Heck no! But it's still a great milestone. Now we shift almost completely to content/mission/balance/encounter/conversation work. Oh, there will still be code changes, and we'll do some pick-up artwork - we'll discover stuff we just have to have, but it's good times! We're back home now after an awesome few days at the inaugural PAX South in San Antonio. We met so many great people and had a blast showing Rebel Galaxy, talking, playing, laughing, and eventually losing our voices. Seriously, that soft-serve cone I had after the show ended was heaven. Everyone seemed to have a great time, and we were grateful for the opportunity to put the game in the hands of people who more often than not had never heard of it. Nothing made us smile as much as that triumphant fist-pump when a pirate corvette exploded in a shower of junk. Thank you so much to everyone who dropped by our booth and played or spoke with us. We love being the scrappy little game again. Take care, and we hope you all got home safely and had a nice lie-in today! Come by our booth today at #PSX, Like us on Facebook, and take away one of these sweet shirts! Oh, hey! It's a Space game Junkie podcast with live footage. How about that? http://www.spacegamejunkie.com/featured/sgj-podcast-81-rebel-freaking-galaxy/ Thanks for having us Brian and Jim!